LCR Hallcrest is pleased to announce the addition of a web-based, liquid crystal roll to roll formatted temperature label manufacturing capability, designed for automated applications. LCR Hallcrest is pleased to announce the addition of a web-based roll formatted label production line. 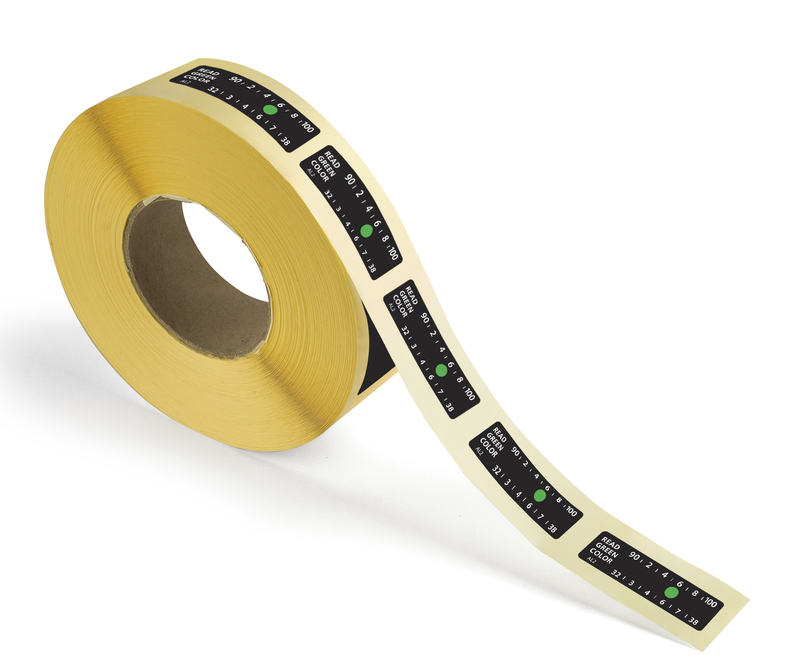 Liquid Crystal (LC) labels, temperature indicators and graphics are typically screen printed on a sheet then cut to size. The company has designed, developed and established a high-volume reel to reel liquid crystal label manufacturing capability. Microencapsulated liquid crystals are classically printed on a substrate with a covering film forming a sandwich, trapping the liquid crystals within the layers. Roll formatted liquid crystal, does not require a covering film and is dispensed as a dot from a micro pump on to a base layer then dried in place.